As Harvard Business School is about to release a new batch of admissions offers, we thought that prospective applicants would enjoy watching this video. It was released by Harvard in Q4 2013 on youtube, but it still provides a pretty accurate of what HBS is about. Kyle and I even recognized some of our classmates… Please do not hesitate to share your thoughts with us after watching it; we would love to hear from you ! Good luck to everyone expecting an email from the school this round. This entry was posted in Harvard Business School, MBA Admissions Application and tagged Harvard, Harvard Business School, HBS, HBS students on March 24, 2015 by Vincent Ho-Tin-Noe. Harvard Business Schools will send out interview invitations to third round applicants on April 17, 2014 at precisely noon Eastern Time. Admissions results will be released in barely one month, so candidates should expect to be interviewing very soon. As a former round 3 applicant, I remember how exciting it was to go from submitting my application to receiving my offer in just 5 weeks. 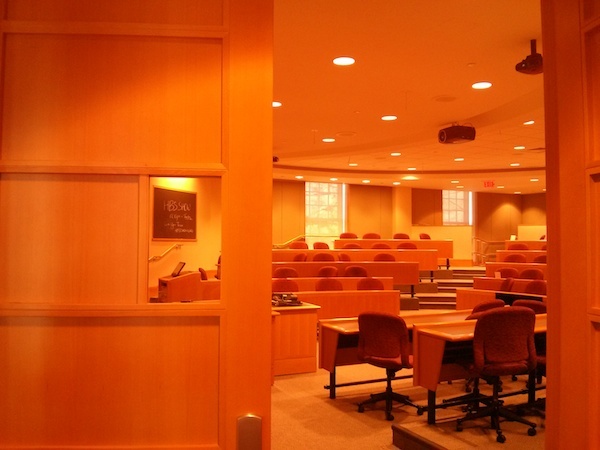 If you receive an interview invitation at HBS, your odds of getting in are pretty high; the admissions ratio after the HBS interview is close to 60%. This is quite a good ratio, and a common saying is that at this point of the admissions process, your HBS offer is yours to lose. Preparation is therefore essential, and we highly recommend that you have a look at the list of resources we have put together to prepare for the HBS interview. Should you need help to prepare for your interview, please do not hesitate to let us know. We offer interview preparation packages for HBS that have helped many successful candidates in the past. This entry was posted in Admission process, Harvard Business School, HBS Application (Class of 2016), Interview Preparation and tagged Harvard Business School, HBS, HBS application, HBS Interview on April 13, 2014 by Vincent Ho-Tin-Noe.